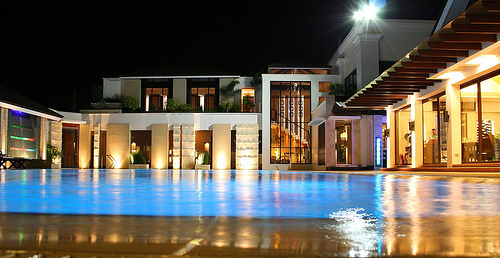 Marco Polo Davao is located in the heart of the city at the junction of Claro M. Recto Street and Manuel Roxas Avenue. The 6,687sqm lot on which the 18 storey, 5 star, city hotel is developed commands an excellent location with prime views from all rooms and a favourable exposure from point of view of visibility and accessibility. The hotel is approximately 12kms or 20 minutes from the airport. Car Parking facilities are available to in-house guests free of charge. A charge will be given to external guests. Davao Madrazo Fruit Center Situated at the downtown area, walking distance from the hotel, it offers tropical fruits grown in Davao. Etnika Davao Weaving Center Showcases typical Mandaya tribe lifestyle. Yuhico Orchid Farm An 11 hectare farm of native and hybrid orchids, Mt Apo lends a fascinating backdrop to its already picturesque scenery. Philippine Eagle Sanctuary This center provides shelter to 10 eagles numberous birds, animals and tropical plants home of the Philippine Eagle, world's tallest eagle. Davao Museum Just a stone throw's away from the airport. It houses interesting and colorful display of the various paraphernalias of the many highland tribes of Mindanao. Malagos Orchid Garden Nestled 1000ft above sea level of Davao, it offers a pictureque vista of flowers, lush greens and breathtaking landscape.